The ISA 428 Pre Pack is the perfect multi-channel front end for any professional DAW. Four classic Focusrite transformer-based pre amps with switchable impedance and direct instrument inputs. An optional eight channel 192kHz ADC, preceded by the all new proprietory Soft Limiter circuit, provides the perfect path into your Pro Tools HD system. The Liquid Channel is a revolutionary professional channel strip that can precisely replicate any classic mic-pre and compressor. Combining radical new analog pre-amp technology with Dynamic Convolution techniques, The Liquid Channel fuses cutting-edge analog design with lightning fast SHARC DSP. Augmented by fully digital controls and optional remote software, The Liquid Channel provides the ultimate fluid vintage collection. 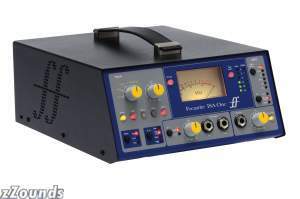 The ISA 220 Session Pack provides all you need to record your session with precision and Focusrite sonic performance. It features many of the original circuits of the flagship ISA 430 Producer Pack along with some new features of its own. It also features the same digital option as the ISA 430, providing you with a high-quality digital route direct from the 220 into your digital recording system. The PreSonus ADL 600 is a high voltage Class A, two channel tube microphone preamplifier designed by world-renown tube circuit designer Anthony DeMaria. The ADL 600 is packed with six high-voltage vacuum tubes (three per channel), military-grade switched attenuators, analog VU and LED metering as well as instrument input, line input and selectable microphone input impedance. The ADL 600 utilizes extremely high voltage power rails (600V peak to peak) delivering 75dB of gain, over 30dB of headroom, and extremely wide frequency range of 5Hz to 80kHz within 0.5dB. The combination of Anthony DeMaria?s preamplifier design and PreSonus? state-of-the-art manufacturing process achieves a new standard in hand-made, high-voltage tube preamplifiers. The XLogic Alpha VHD Pre is a slab of pure analogue attitude. Whether you need to track pristine vocals, crunched drums or electric guitars on the edge of sonic destruction, the VHD Pre delivers a powerful and versatile sound shaping tool kit - the perfect analogue companion to any digital recording system. Based on the VHD circuit from SSLâ€™s acclaimed Duality console, the VHD Pre adds four SSL mic preamps to any line level DAW audio interface, transforming it into a professional quality, multi-channel analogue recording system. The Avalon VT-737SP features a combination of TUBE preamplifiers, opto-compressor, sweep equalizer, output level, and VU metering in a 2U space. The LA-610 brings UA's legendary vintage "all tube" luxury sound into a modern channel strip format by combining the 610 Mic-Pre/EQ/DI section and a T4 Opto-compressor into a single 2U unit with a ground-breaking price. Universal Audio has partnered with original Euphonix founders Scott and Rob Silfvast to design a revolutionary series of DAW "expansion & enhancement" products under the Desktop Console System (DCS) family brand. 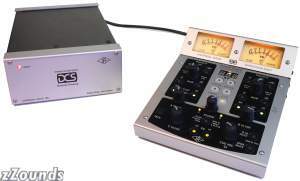 DCS combines UA's pedigree for sonic excellence with the usability/features of professional consoles in a new type of convenient "micro-console" desktop form factor, ideal for today's project/producer studios. The first 2 products in the DCS series (the Remote Pre & Monitor Master) combine a base station with a DCS-Linkâ„¢ connected remote that puts every control within direct proximity to the user in a convenient remote format.